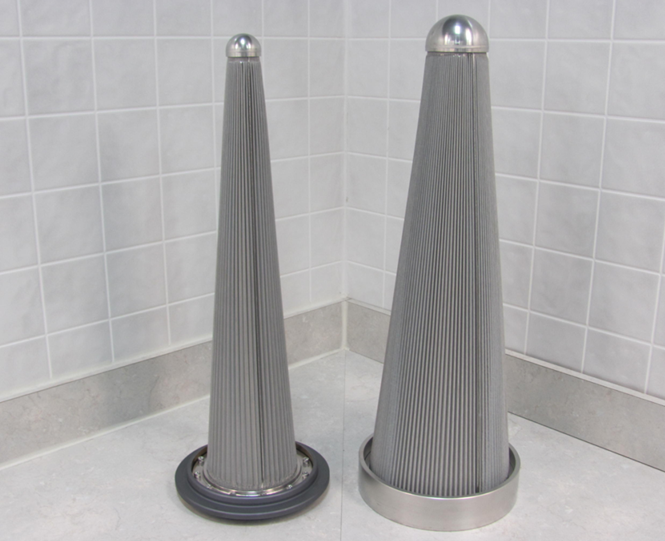 Norman Filter Company manufactures custom Cone (Witches Hat) style filter elements for direct installation into piping components. 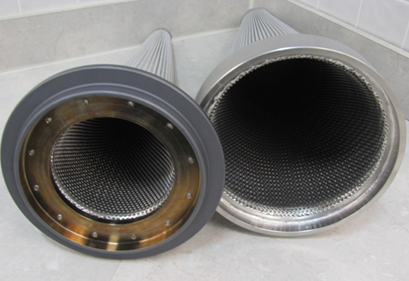 Norman Cone Filters are uniquely built with pleated micronic filter mesh, as opposed to standard cone elements that are only considered to be "strainers". 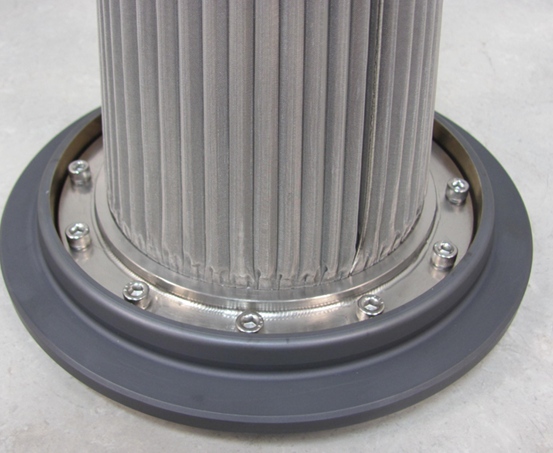 Norman Cone Filters can also be attached to Grayloc sealing rings/orifices or ANSI/ASME 16.5 flange gaskets. NFC's cone filters utilize custom core tubes and feature all TIG welded construction for superior durability. Cone filters are ideal for inline high flow applications where there is no room for a filter housing and have been frequently used in pipelines that require significant particulate loading capability.